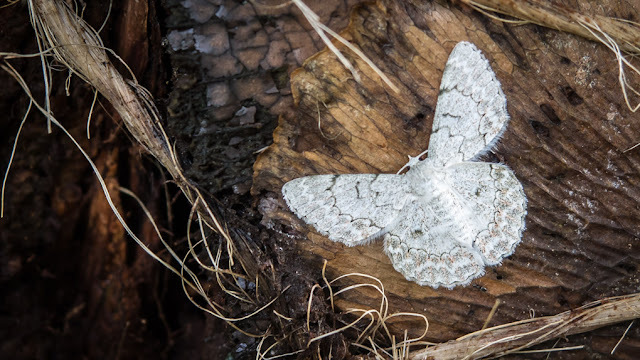 I have no idea if this is really a Looper Moth, but I can say with some conviction if not certainty that it is of the family Geometridae. Since that in itself makes it a member of one of the largest moth families in the world, we haven't narrowed it down too far. I can also observe though, that this one probably doesn't "get" what camouflage is about, and will probably not see the night if he sits here for too long. There are enough insect eating birds about to make a tasty morsel of any white moth who wants to chance sitting on a dark background!